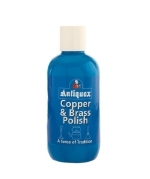 Copper & Brass Polish is an easy to use, effective polish with a special non abrasive action. It has excellent anti-tarnish properties ensuring long life for your bright metals. 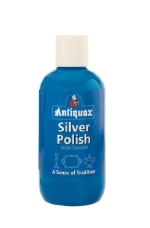 As with Copper & Brass Polish, Antiquax Silver Polish has a non abrasive cleaning & polishing action to minimise surface wear. It also benefits from an effective anti tarnish additive.